Your BMW E46 and Lexus IS Resource: Think you're a pimp? Think again. The appeal of the $5,000 second-hand BMW. Think you're a pimp? Think again. The appeal of the $5,000 second-hand BMW. Many want it, but few are prepared or even willing to really pay for it. The appeal of the $5,000 second or third-hand BMW has a far and wide reach. The relative complexity and maintenance costs of these cars is a factor that drives down the entry cost for such cars many years after they've left the factory. 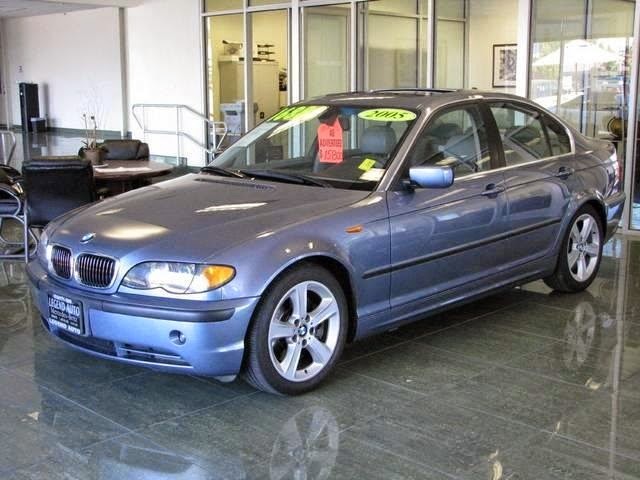 What was once a $35,000+ car in its day, a used BMW E46 can be had a decade later for as little as $5,000. This puts this timeless and beautiful car--often regarded as one of the best BMWs ever made--dead center in the crosshairs of people who want the status, but who can't, or who aren't willing or able to fork the $45,000 of a brand new BMW 3-Series. As an owner of one of these fine machines, I definitely understand the appeal of getting more for less. Why shell out up to $800 a month for a new BMW that has most of the features mine has all while weighing more and having relatively slower reflexes for performance-oriented driving? This no-brainer value is one of the reasons I bought mine. These cars are so great that they have a large enthusiast following on internet message boards and car forums. These are communities chock full of E46 enthusiasts that discuss everything from maintenance, performance modifications, or even their beloved pet beagles. Among these daily discussions, however, are a steady stream of new and confused owners seeking for help on why their used german automobile is blowing steam or doesn't start, or a myriad of other potential problems. A common posting is, "HELP! I JUST BOUGHT A USED E46 AND IT WONT START. THIS CAR IS JUNK!" These new owners often expect their 100,000+ mile, 10-year old BMW to start and drive as reliably and nicely as a brand new one. They are almost always disappointed when they find out that this isn't the case. The thing that these new owners sometimes fail to understand is that there will always be a cost to properly drive and operate a new or used german luxury car such as a BMW. For a BMW bought on the used car market, this cost goes beyond the price of admission. I've put together a rough list of parts that should be replaced upon purchase of a used BMW E46 3-Series. That link can be seen here. This list covers the basics that often fail leaving people stranded causing them to destroy their engines causing permanent damage or become stranded to cost them even more money on towing fees, etc., not to mention the danger of leaving a wife and children stranded. A $5,000 car doesn't mean $5,000 maintenance. You cannot expect to drive a 10-year old, 100,000+ mile, once-$40,000 BMW off the lot and expect to look fancy and show up to parties with your newfound status symbol. These cars require real maintenance real fast! These are absolutely great cars if they are maintained and they will last you several lifetimes! So if you bought a used E46 and you just got done reading this blog post, you wonder how much does it cost then? About $3,000. This $3,000 in addition to the cost of your car will address the cooling, electrical, fuel, and vacuum systems as well as the basic components of the suspension. If your budget for a used E46 is $5,000, make sure you've saved $8,000 or close to it. If you spend $5,000 on your used E46 and just want to drive it and put gas in it, you will have problems rather quickly. At around 100,000 miles and 10 years is about when things are just about ready to die. From the plastic parts in the cooling system, to the pulleys and belts, to the fuel delivery systems, and the electrical systems. Luckily these parts can be had at fractions of the cost online versus your local BMW dealer. Refresh these cars with $3,000 in parts every 80,000-100,000 miles or so and you'll never experience a problem in your lifetime. Spend a little now, save a lot in the long run. A properly and decently refreshed used BMW 3-Series will cost anywhere between $8,000 and $13,000. 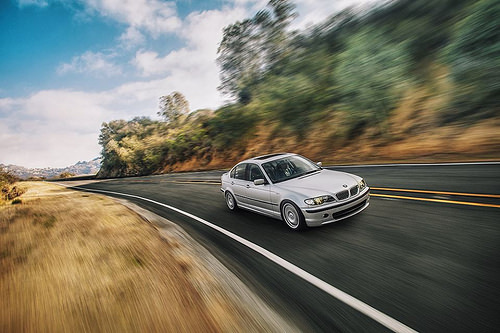 Considering a reliable and well-handling BMW E46 is one third to one half the price of a brand new Toyota Corolla, that's a bargain of the century. And you won't be accused of being a poser! Hello i have a 2004 320d SE Touring and the temperature gauge does not get above the cold mark while driving any ideas what the problem may be Thanks Tony.